- Mutation profiling and SNP discovery. The GenomeMatch pipeline is developed to find alignments between genome sequences as well as to construct synteny maps. 3D-Explorer is designed to visualize spatial models of biological macromolecules and their complexes. 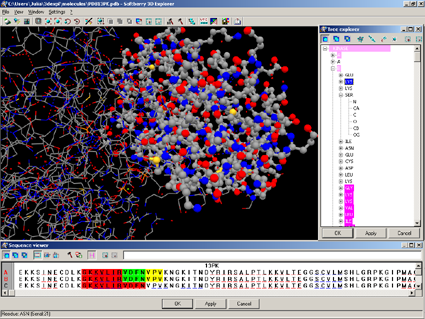 The 3D-Explorer application is compatible with PDB files. 3D-Explorer has an interface compatible with the GetAtoms and CE applications. 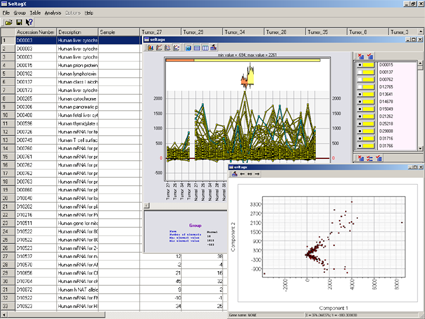 SelTag is one of the most elegant tools for analysis of expression data. It can analyze all or marked groups of genes or tissues, select tissue-specific genes based on complex criteria, provide visual representation of expression data. 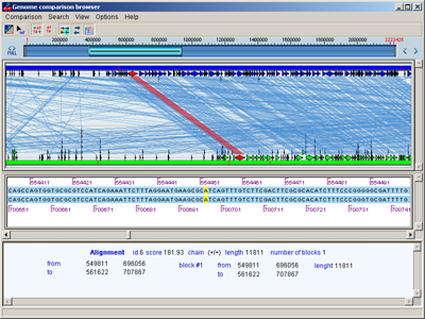 Genome Comparison Browser (GCB) is designed to visualize comparison of two genomes or chromosomes.